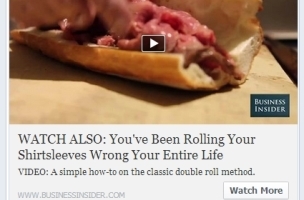 The “watch more” call-to-action button uncovered by PerfectPost CEO Rob Kischuk in March has been discovered in the wild, or, more accurately, on the Facebook page for Business Insider. 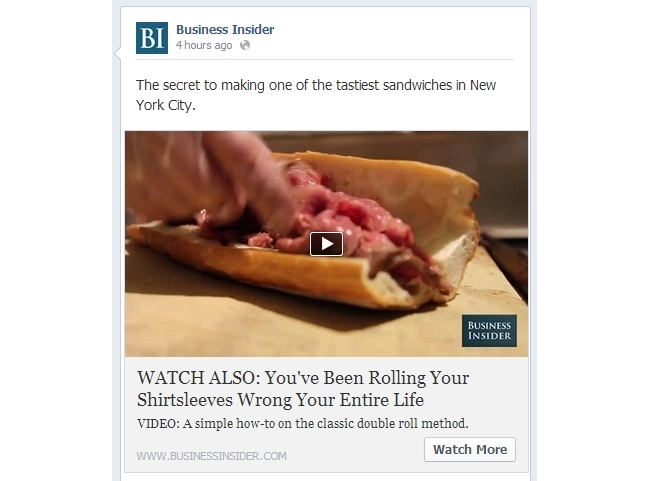 The watch more button appeared under descriptions of videos posted by Business Insider and, when clicked, brought users to the Business Insider site to view the videos. Readers: Have you seen the watch more button on any other Facebook pages? Thanks to readers Or Fialkov of Fialkov Digital and Yan Yanko Kotliarsky for the tip.